This December, Bandai Namco is holding the "Gunpla Builders World Cup 2011", the first international competition devoted to Gunpla, or Gundam model building. Between now and September, preliminary rounds are being held with competitors from 13 different countries: Japan, China, Korea, Taiwan, Hong Kong, Thailand, Singapore, Malaysia, the Philippines, Indonesia, Australia, America, and Italy. There are two divisions, one for over fifteens and one for under fourteens. In October, the first round of Japanese winners will be displayed at the 51st All Japan Hobby Show. The final round with the best of each country will be held in Hong Kong this December. Mobile Suit Gundam models debuted in 1980 as the first Gundam anime was going off the air. Through the years, they've become increasingly popular, and advanced. The most expensive Gundam models are still manufactured in Japan and feature plastic parts made by advanced plastic injection machines. The Gundam model factory is pretty damn awesome, sporting a "MS-06 Zaku" automated forklift. Check it out. 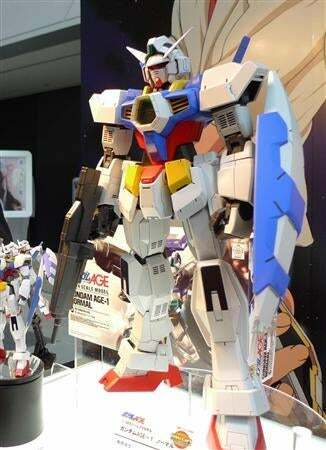 Where Are Gundam Plastic Models Made? Would you like to know? Would you? Okay, then.